Humidification technology and a compact machine design set Fisher & Paykel’s product line apart from the rest. Shop our wide selection of masks, humidifiers, headgear and filters below. 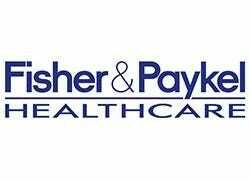 Founded in 1934, Fisher & Paykel manufactured appliances until 1960 when they began a healthcare initiative. Today, Fisher & Paykel is one of the leading manufacturers of CPAP machines. Humidification technology and a compact machine design set Fisher & Paykel’s product line apart from the rest. The Icon line of CPAP machines features a sleek design with an array of features to meet your needs. Fisher & Paykel also offers ThermoSmart technology with an advanced humidification algorithm and heated breathing tube that work together to ensure the ideal humidity for the environment. This technology ensures humidity levels remain constant regardless of temperature change, which helps you get the best sleep possible. The Heated Humidifer CPAP with Humidifier features ThermoSmart technology as well, alleviating discomfort during inhalation. The Icon Novo is available on Cheap CPAP Supplies at the lowest allowable price and ships for free to your door. Fisher & Paykel masks are manufactured with innovative features that provide comfort and stability. The Fisher & Paykel Simplus Full Face Mask provides a clear line of sight for users and diffuses air away from themselves and their partner. Fisher & Paykel masks are also available in nasal pillow, nasal or oral styles. The Opus 360 Nasal Pillow mask uses frosted silicone nasal pillows for an enhanced seal. We also provide a complete stock of filters specific to your Fisher & Paykel machine. These are featured on the brand page and with our CPAP supplies. It is important to take proper care of your machine to ensure it works properly, and our helpful Replacement Guide can keep you on track of cleaning and replacement schedules to save time and money. Don’t forget that Cheap CPAP Supplies offers Free Shipping on all products, and do not hesitate to contact us online or by phone at 1-888-909-5506. Our team of CPAP experts is here to answer your questions and provide the highest quality supplies at affordable prices.